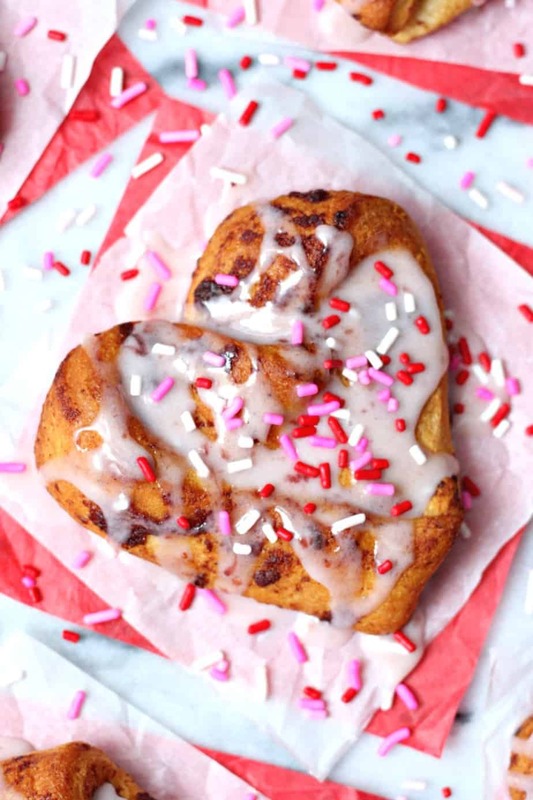 Heart Cinnamon Rolls – Turn cinnamon rolls into hearts for a fun and tasty Valentine’s Day treat. I just can’t stop making fun heart shaped treats! It’s a real problem around here. I just want to eat heart shaped food covered in sprinkles all day every day. We all know everything tastes better with sprinkles. This is such an easy treat to make. I shouldn’t even call this a recipe because I didn’t make anything. I do have a few tips for you. First, you have to use Grands Cinnamon Rolls – the 5 pack. Preheat oven according to package. 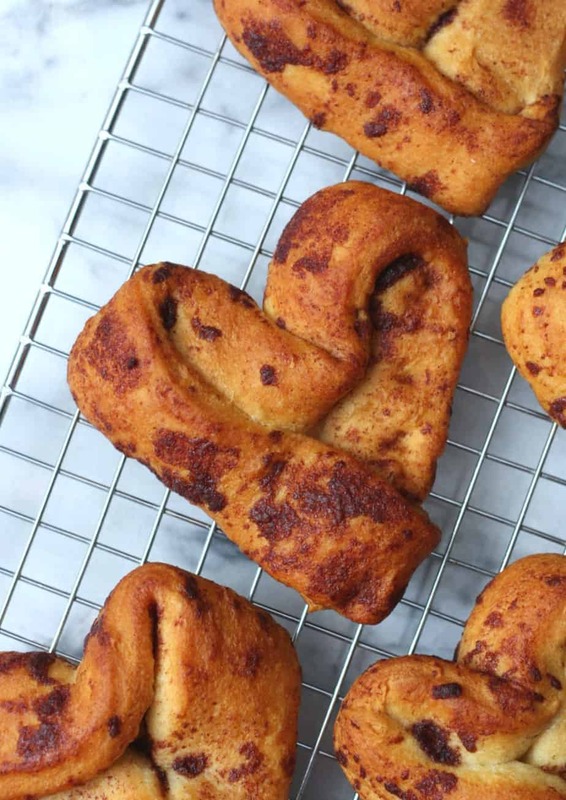 Open your cinnamon rolls and unroll one cinnamon roll at a time. Cut it in half with a knife and form your hearts on your baking pan. Feel free to add more cinnamon and sugar if you want to. You’ll make 10 cinnamon rolls instead of 5 which is always a good thing. Double the yumminess! 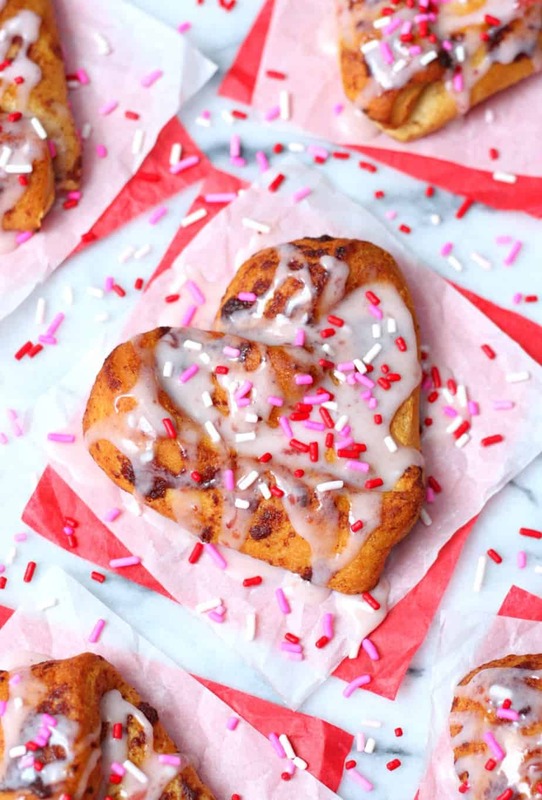 Spread icing on each heart cinnamon roll and add your sprinkles. YUM! All I can say is yum. Well, I’m just going to go enjoy a cup of coffee and eat my cinnamon rolls while Easton takes his nap. It’s time for some me time! I guess I better save a few for Connor to have when he gets home from school. Or, maybe I’ll just make more. Happy Friday! I hope everyone has a great weekend! !